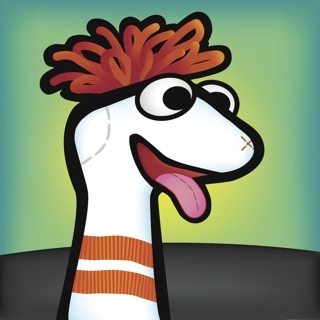 Puppet animation and frame-by-frame animation combined. Tap record and animate everything! Play back and export to MP4 or YouTube. 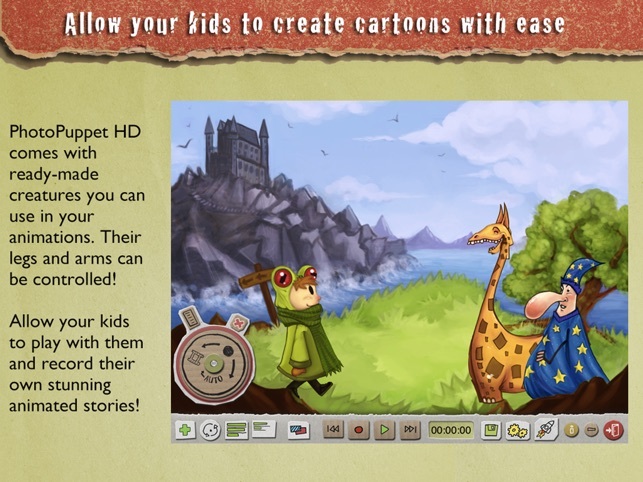 The easiest and fastest way to make cartoons on your iPad. Cut and insert fragments of your Photo Roll photos and move them on the screen. The app will record everything that you do. The recording can be edited using a timeline and exported as an MP4 video or directly to YouTube. 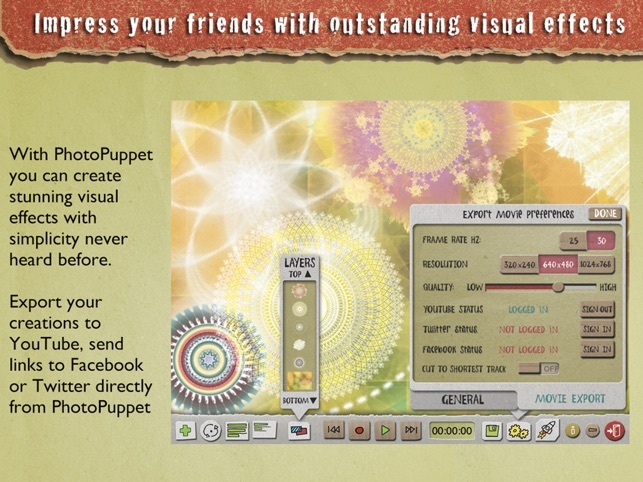 http://ipodteacher.blogspot.com "My first reaction to PhotoPuppet after I downloaded it was "Wow!" I was stunned to see the editing power in this app, even on the iPod. [...] There are all kinds of details that are not available in the other animation apps. You can edit the sound using tracks, like in Garage Band. You can snip parts out of audio tracks that you don't like. The elements in your animation are layered so you can control which ones show up on top of the others. The list of neat features goes on [...]"
http://ajewellatschool.blogspot.com/ (first school in the world with a 1:1 iPad deployment for every pupil from P1 - S5) - "A beautiful, comprehensive animation toolbox [...] allowing creation of characters, backgrounds, talking heads and lovely track-by-track editing. I introduced it today to a class for the first time and was struck by the same feeling I had when first demonstrating GarageBand (what higher compliment could any app get!) that the sky now really was the limit! So, another tool for the 21st century teacher's toolbox. I think this one's a sledgehammer! " 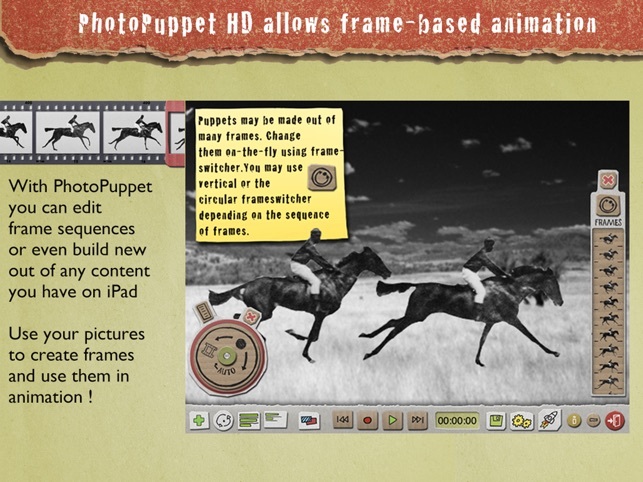 PhotoPuppet HD is now compatible with iOS 11. 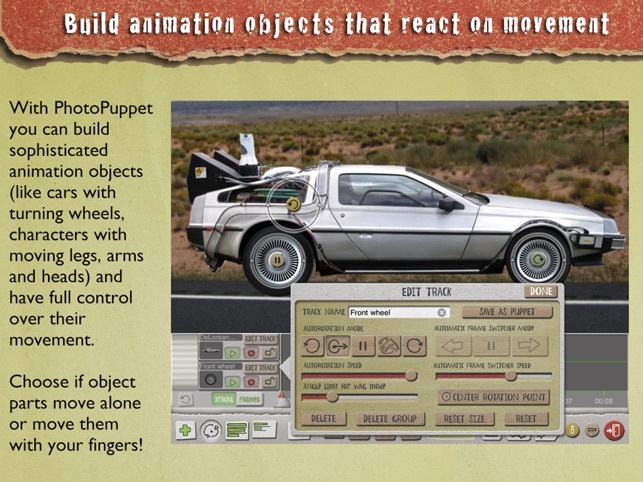 Check out the Explain Everything app (https://itunes.apple.com/us/app/explain-everything/id1020339980?mt=8) which is the current iteration of many concepts that first debuted in PhotoPuppet! The app is very nice but there is no support for it on the creators web site. I was looking for the manual that the developer has a link to but all they have is information on "Explain everything ". I disagree with the reviewer who said the creative possibilities are limiting. If everything worked, this would be amazing for my students. However. It is so buggy, I have to keep biting my tongue when I want to sing its praises. Until the last update I couldn't do anything without the app crashing. Now, the app crashes much less often, but puppets disappear randomly; tracks I've deleted will still play even though there is no visible "track". Endlessly frustrating because the potential is so great. Schools would eat this up. Please, hire a programmer to clean up what you have here- the interface is brilliant, concept is great, design is great, and it will really open up possibilities for LOTS of people. A feature that would add a lot- though please fix existing features first- audio import from Garageband.